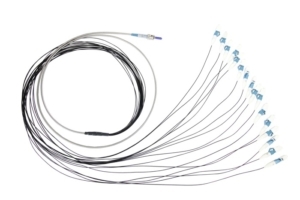 IDIL Fibres Optiques proposed a wide range of specific optical probes: single and double-pass transmission probe, O2, CO and CO2 probe, heat resistant probe, fluorescnet probe, etc. IDIL Fibres Optiques custom fiber probes in accordance with customers’ requirements: fiber types, materials and diameters, length, laser working distance, connection type, etc. IDIL Fibres Optiques develops robust probes for most demanding and challenging applications. 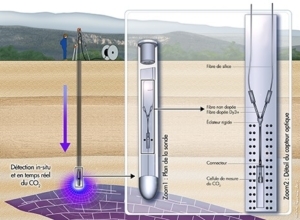 Our probe can be exposed to high temperatures, dipped into the samples or buried underground (with electronical system: up to 300 m / without electronical system: up to 1,5 km). An optical probe direct and focus the monochromatic excitation source to the sample, collecting the scattered light, an then redirect it to the sensor or spectrometer as an electrical signal for analysis. The flexibility of fiber optics allows the probe to be taken to a solid sample and also enables it to be immersed in slurries or liquids in both process and labs environments (for kinetic measurements in real time).